I'm keenly working on a range of 600 x 600 x 40mm wooden boards at the moment. 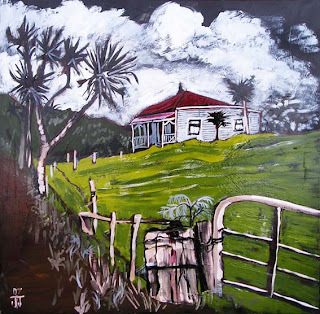 Just for a striking change, here's a nostalgic nod to rural New Zealand. 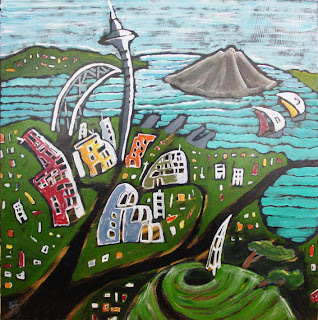 and I thought I'd have another go at an Auckland painting - using that style of mine that is more like a woodcut. Quite like the Dr Seuss'ish feel to this one.